There is nothing like the challenge of a new beginning. How true this is with us at the beginning of each new year. We are filled with questions and wondering about what the future holds. So it was with the people of God in exile in Babylon. Seventy years before, God had allowed this captivity by Nebuchadnezzar as punishment for their disobedience and infidelity in worship. Nearly three generations passed before God moved King Cyrus to let them be free. His purpose was to allow them to return to Jerusalem to restore the city and to rebuild the temple. Not everyone would want to leave, but those who planned to undoubtedly had concerns and fears about the difficult journey. 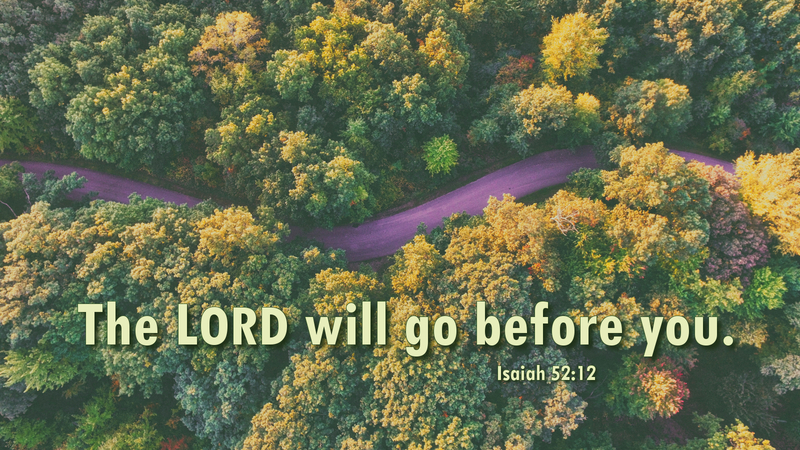 Prayer: Father, in faith I accept your promises and ask for your guidance and strength to journey on until at last I arrive at the New Jerusalem and see my Savior face to face. Amen. Today’s devotion was written by Thurmond Plexico, retired NALC Pastor doing active supply, Salisbury, NC.